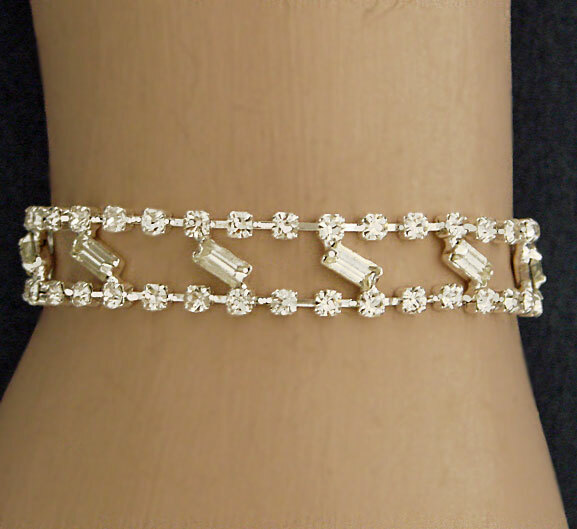 Diagonal Tilt is a two strand rhinestone bracelet. 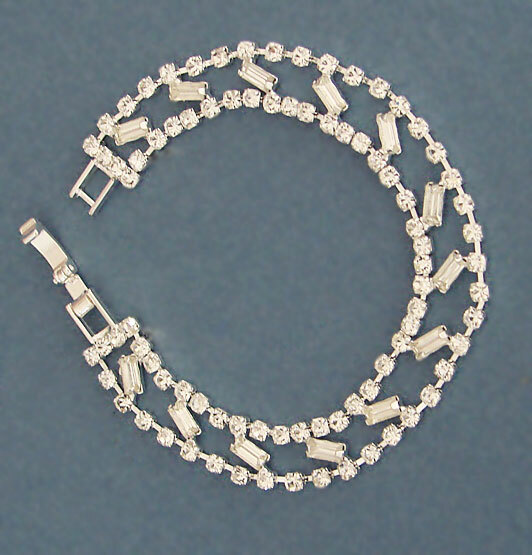 In between the two strands, there are diagonal rhinestones that connect the two strands. It measures 7" in length, and is 3/8" wide.